Visiting the campus will give you a clear understanding of the value of an independent school education. Click here to schedule your tour. Our community is a close-knit group of students, parents, faculty, staff, and alumni. As a family we have chosen to be ALL IN at PA! PA is not just a place where we drop the kids off at school every day for 12 years. We believe in a partnership with the school and our family. We want to jump in and help where we can, donate where we see needs, serve alongside other PA families and staff, and support the teachers and faculty in any way we can. The relationships we have made along the way will long outlast our time as PA parents and that reward will forever be ours!" 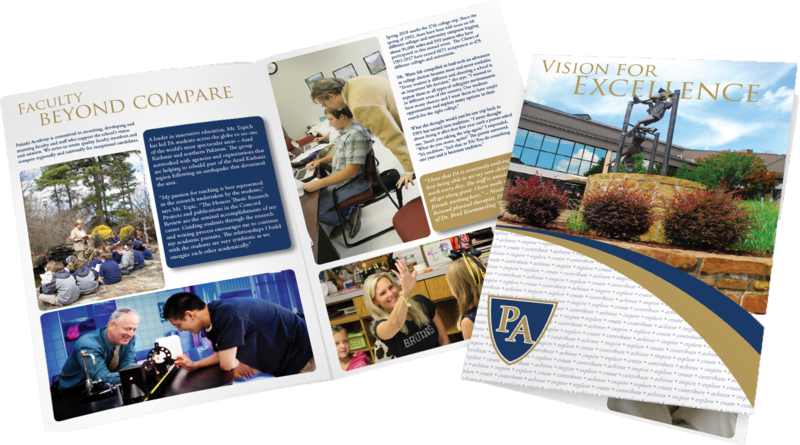 Being involved in Pulaski Academy is being a part of the PA family. We joined the family in 1999 when our oldest started kindergarten and our youngest will graduate in 2023, but we will always be a PA family. When your child graduates college and says they are thankful PA had them prepared, you know every penny and every hour was worth it. " The music program at PA helped inspire and grow my love for music that has carried on to this day. It also gave me an opportunity to learn what it means to be a good follower and a good leader."